develop at least three preliminary learning goals for the PDC course in Alachua County. Instructional design (ID) is a systematic process in the ways that instructional materials are created, developed, and delivered. ID practice aims to create “instructional experiences which make the acquisition of knowledge and skills more efficient, effective, and appealing” (Merrill et al 1996). As a field, ID is historically rooted in cognitive and behavioral psychology, yet more recently constructivist learning theory has gained a greater influence in shaping ID strategies and techniques (Mayer et al 1992, Duffy et al 1996, Duffy et al 1992). By addressing the way people learn new information, the ID process provides a systematic means of broadly of determining the needs of the student(s), defining the overall goals of the instruction, and creating interventions to bridge learning gaps. Therefore, learning outcomes of instruction should be observable and measurable. While there are many different instructional design models, most are based on the five phases of the ADDIE model: analysis, design, development, implementation, and evaluation (Aritzhaupt et al 2015). Analysis – establish who, what, when, where, why and how? Design – create learning objectives and content, conduct subject matter analysis, plan lessons, collect media, create exercises, and create instruments to assess learning outcomes. The design phase should be a logical andorderly method of identifying, developing and evaluating a set of planned strategies targeted for attaining the project’s goals. Development – create and assemble learning content with storyboards, flowcharts and graphics. 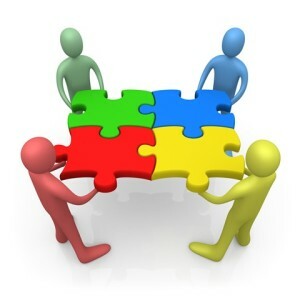 Implementation -establish procedures for instructors and learners; create course curriculum, revisit learning outcomes, establish methods of delivery and assessment procedures, ensure that all instructional materials are in place; books, hands-on equipment, tools, weblessons, etc. The following YOUTUBE video by Marie Langton provides a brief overview of the ADDIE model. 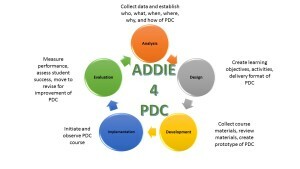 Now that you have an idea of the contributions of instructional design models and the ADDIE framework in developing a PDC course in Alachua County, we can take a closer look at each phase and begin developing a PDC course. Before doing so however, it is important to identify the overall goals of the PDC course. What problems are you trying to solve through training others in Permaculture Design? What do you expect learners to accomplish in the course? How can ADDIE help you in this process? Introduce yourself and explain why you want to build a PDC course in Alachua County. 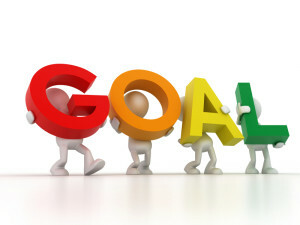 What goals do you want the PDC course to achieve? Post in the Comments below. Create a chart to organize individual goals, and analyze patterns in the goals to identify similarities and differences. Adopt a unified set of goals for the PDC course in Alachua County. Keep in mind that these goals can be revisited and revised as often as needed throughout the course. Now that you have established a unified set of goals for your PDC course, it is time to establish the Who, What, When, Where, Why and How of the PDC course in the Analysis Lesson. Aritzhaupt et al. ADDIE Explained http://www.aritzhaupt.com/eBook_ADDIE/ accessed on February 5, 2016. Duffy, T. M. , & Jonassen, D. H. (1992). Constructivism: New implications for instructional technology. In T. Duffy & D. Jonassen (Eds. ), Constructivism and the technology of instruction (pp. 1-16). Hillsdale, NJ: Erlbaum. Mayer, Richard E (1992). “Cognition and instruction: Their historic meeting within educational psychology”. Journal of Educational Psychology 84 (4): 405–412. Merrill, M. D.; Drake, L.; Lacy, M. J.; Pratt, J. (1996). “Reclaiming instructional design” Educational Technology 36 (5): 5–7. Increase general environmental and watershed awareness. Increase awareness of permaculture and its ethics and principles. Increase awareness in how permaculture is applied. 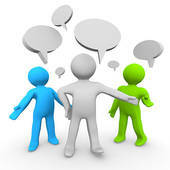 Increase rate at which permaculture projects are implemented and permaculture theory is spread.